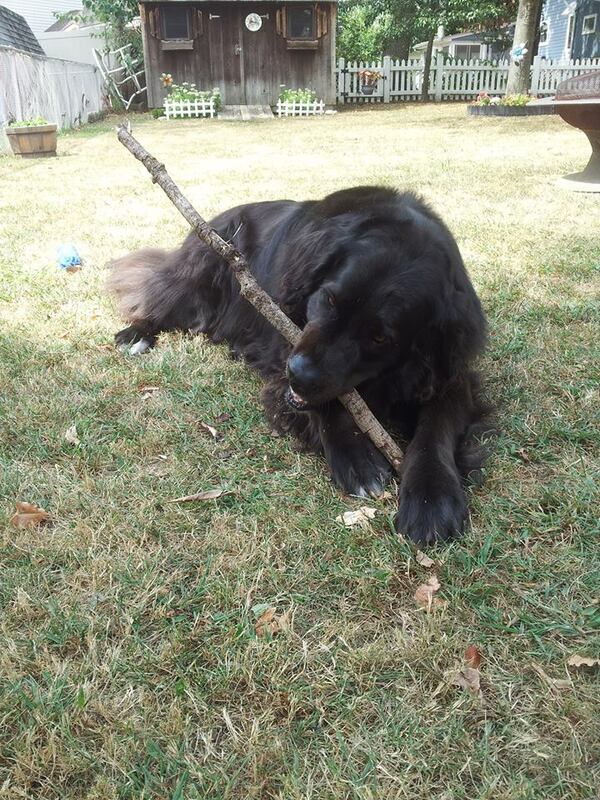 Chewing on sticks is not safe for dogs. The splinter or larger fragment if stuck somewhere in the esophagus or lower can cause bleeding and obstruction. The worst is that the stick is radioluscent and cannot be detected by xrays. All the better to unexpectedly thwack your human with in the back of the knees! Hahaha – sounds like you have some experience with this! I have the black and blue spots to illustrate that experience!